In the last several months, the image above has become rather infamous. 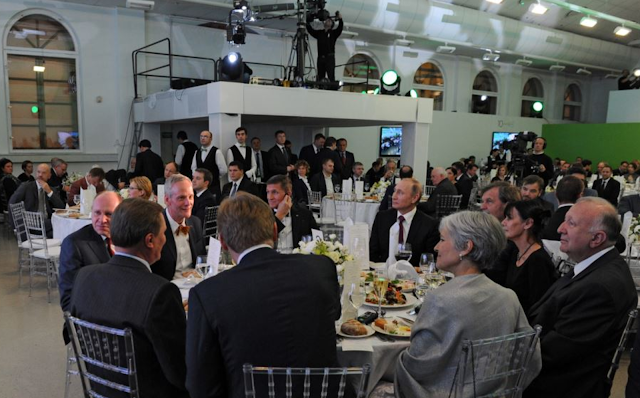 It was taken in Moscow in December of 2015 during a celebration of the 10th Anniversary of the Russian TV network, RT (Russia Today). This second image, highlighting Michael Flynn and Vladimir Putin (a cropped portion of the first photo) is the version with which you're most probably familiar. You may also notice Jill Stein in the right foreground. Michael Flynn was paid $45,000 to speak at this event. It's been recently reported that Flynn did not seek security clearance in order take part in this activity - or to receive any payment from a foreign government. From a nonverbal perspective, this moment contains some classic expressions - particularly those of President Putin's. In this third image, a further cropped and magnified portion of those above, we see Vladimir Putin's central forehead is contracted and elevated. His left peripheral forehead is relaxed. The Russian President's eyebrows are also partially elevated. Looking at Putin's mouth, we see a faint hint of a false-smile, with its left corner up-turned. His eyelids are also partially closed. It's important to note, that Putin does not have Ptosis ("droopy" eyelid[s]) - rather this is an active, albeit partial, closure. This finding is especially important given the context of his elevated eyebrows (and central forehead) - for the eyebrows are moving up while the eyelids are moving down. This "opposite-direction dynamic" of tissues immediately adjacent to each other is atypical - and a profound nonverbal red flag. Putin's mid-face, the area above his upper lip and below his nose - is taut, while his nostrils are also flared (dilated). This close-up of Michael Flynn shows us a dramatically contracted forehead - however, it's elevated along its entire width. His mid-face is also too tightly vectored laterally to express any sincerity. This is a common variation of an insincere smile. 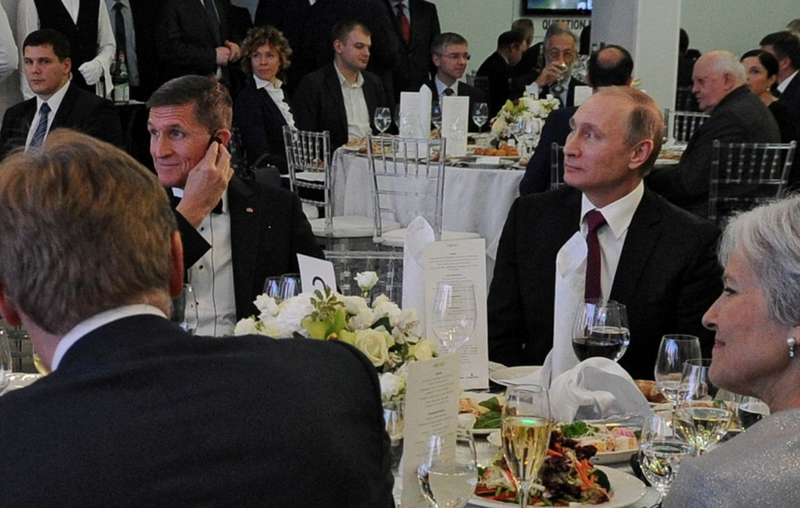 Of profound importance is the seating arrangement - for Micheal Flynn is seated next to Vladimir Putin, immediately to his right. It's a position of honor (in fact, it's THE position of honor), yet it's also one which will elevate his anxiety (and Putin, of course, knew this). 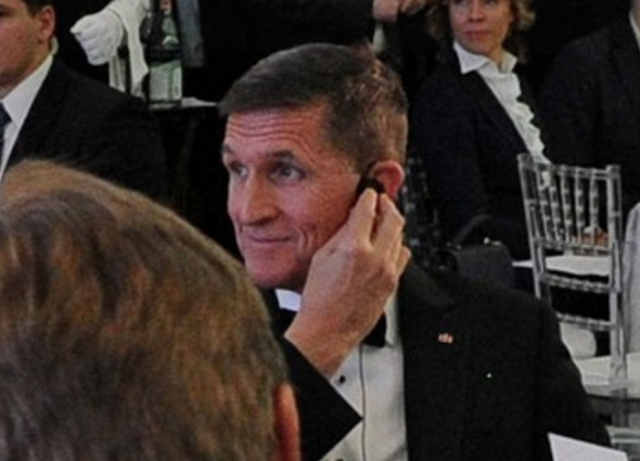 It's also noteworthy that Flynn is using his right hand to adjust his left earpiece (translator). While it is possible that his left hand was temporarily over-occupied or his left fingers were slightly injured, it is more likely that his emotional-comfort level was significantly lowered given the context of sitting next to Vladimir in Moscow. Jill Stein's expression shows yet another example of an insincere smile. Although the left corner of her mouth is upturned - her mid-face is much too tightened - and her left nostril is far too flared to be expressing sincerity. 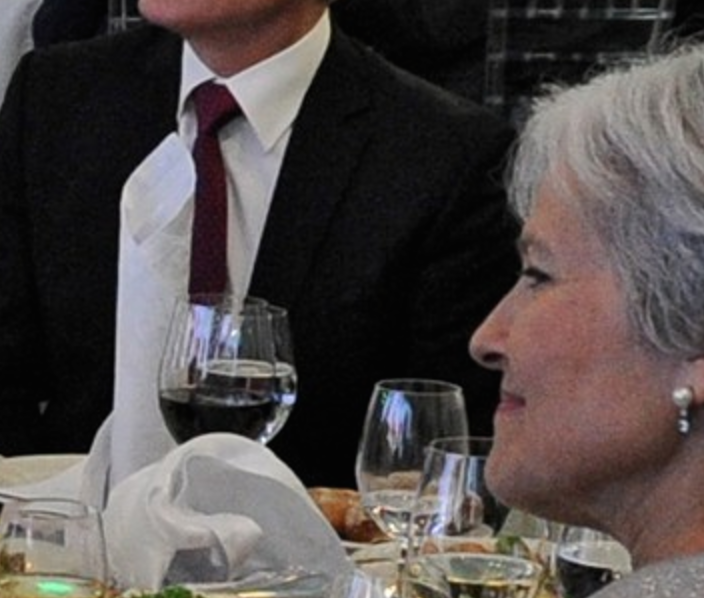 Moreover, Jill Stein does not have an under-bite, yet in this instant, we can see that her jaw is thrusting forward. This is, in no way, consistent with a sincere smile. She is very much feeling an amalgam of both anger and disgust - but is trying to put on her best face for Putin. 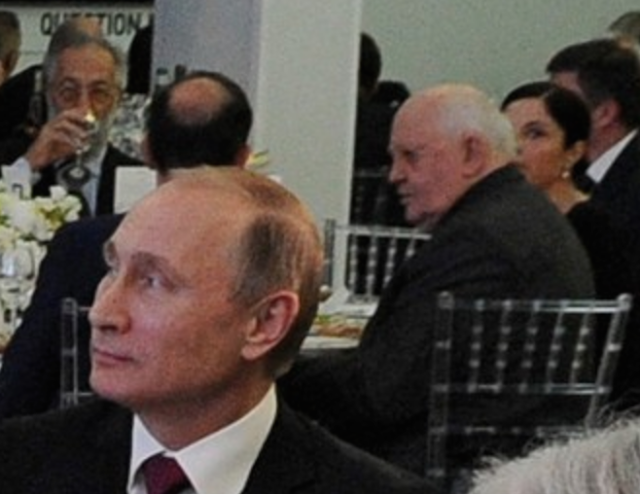 Did you notice the older gentleman sitting behind Putin? (from the perspective of this picture, he's positioned just "above" Putin's left shoulder). That's Mikhail Gorbachev - the eighth and last leader of the Soviet Union. Michael Flynn, well-aware he's under the spotlight, is trying too hard. His smile is feigned. Jill Stein is experiencing disgust and anger, yet understandably, she's suppressing her feelings with a false and thinly veneered social smile (insincere). 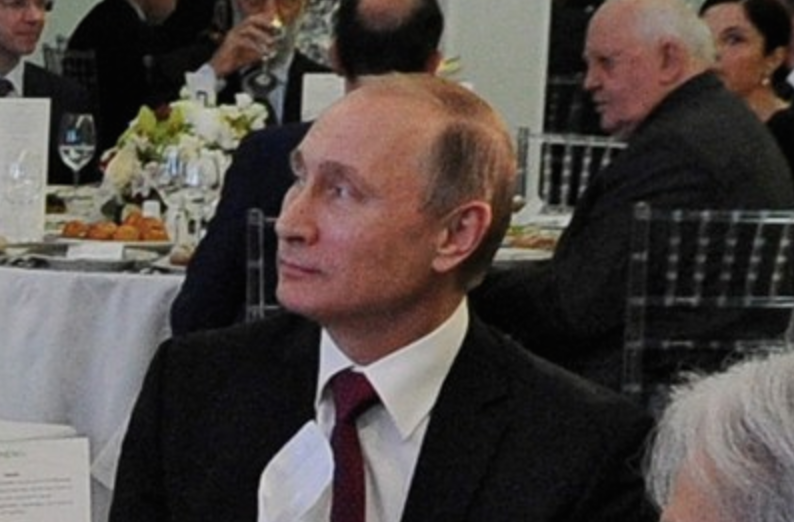 Putin's expression (an elevated central forehead contraction, elevated eyebrows with a simultaneous partial [false] mouth smile, partially closed eyelids, tightened mid-face with flared nostrils) is one made only by an alpha personality in the presence of and/or in the midst advantage over a relative-beta personality. It's extremely indicative of both clandestine motive(s) and clandestine plan(s). It also has components of disgust and impatient/arrogant dismissal. Colloquially, this expression can be accurately summarized as, "Should I skin him now, or skin him later?" and "I can hardly tolerate sitting next to this (expletive)".